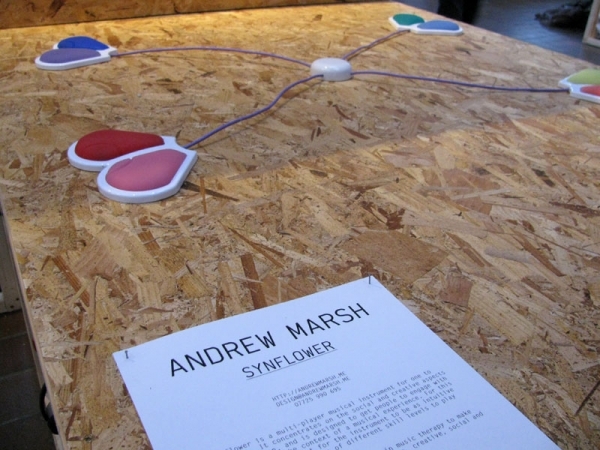 Synflower is an collaborative musical instrument combining samples and synthesis. 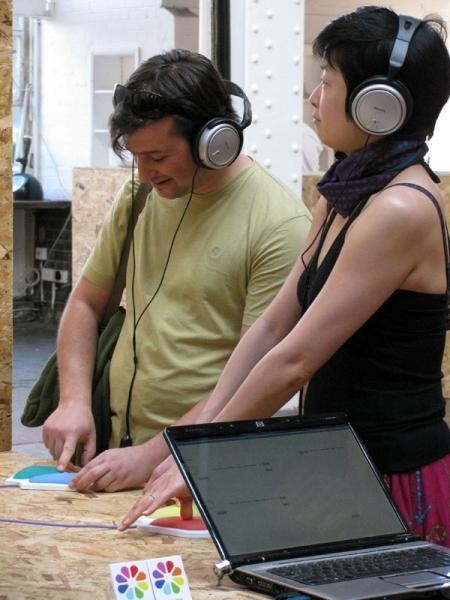 Custom built pressure sensors and buttons are embedded in soft silicone pads, allowing a number of players to trigger and manipulate sound in unison, facilitating collective experience. 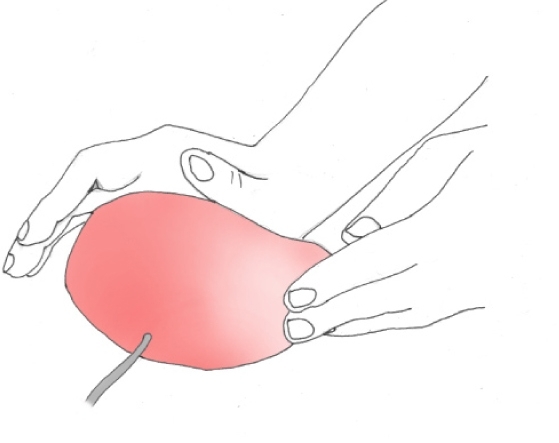 Informed by techniques used in music therapy, the instrument is designed to be accessible to a wide range of players. The software can be altered to provide a freer or more rigid structure as required. 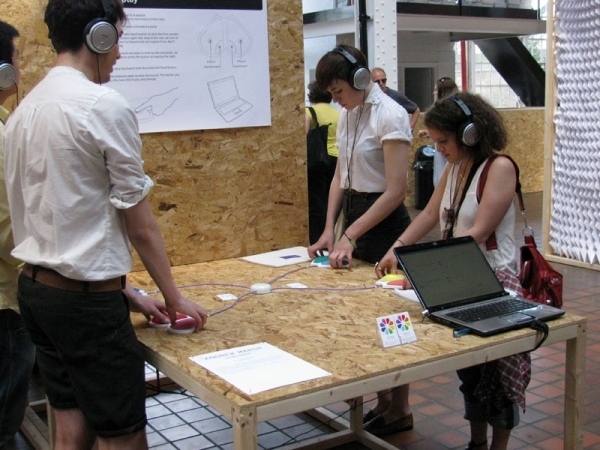 The prototype is built with arduino, pure data and ableton live.